All Of Us Deserve A Better Life.Obviously Our U-Shaped Pillow Is A Good Chosen For You Which Can Make You Sleep Much Better Than Before.The Pillow Can Supports Your Head,neck, And Shoulders While You Sleep, Reducing Strain And Pressure Pain On Your Neck At Night. It Is Lightweight, Portable,and Perfect For Traveling By Car Or Airplane. With The Great Quality Material And Excellent Manufacturing Skills,it Is Durable And Wear-resistant.Besides,it Is Also A Nice Gift To Your Parents,friends. Note:Usually Needs 7-14 Working Days For Shipping. Materials:100% Slow Rebound Foam,comfortable And Durable. Dimensions: 11.8"*11.8",Weight: 9 Oz.Lightweight And Portable. With High Quality Material,our Flexible Pillow Will Relieve Your Neck,shoulder And Back Pain And Provides Excellent Support For You. Suitable For Men And Women In Such Occasions:home,travel,airplane,bus,train,car,office,school.Very Convenient To Carry. 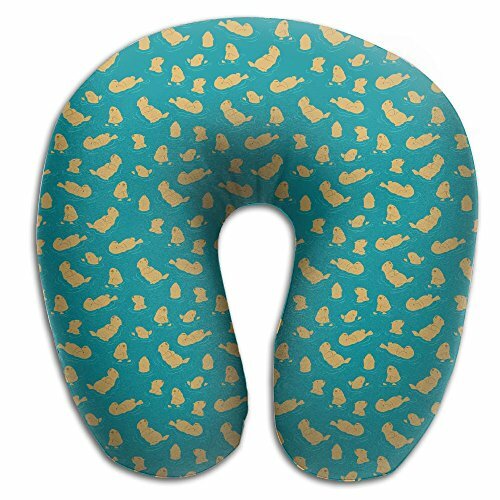 Super-soft,perfect Fit For Your Neck And Body Curve,giving You The Wonderful Sleeping Or Relaxing Experience. If you have any questions about this product by Godfery, contact us by completing and submitting the form below. If you are looking for a specif part number, please include it with your message.